In my book, Leah’s Art Gallery is intricate to my plot. 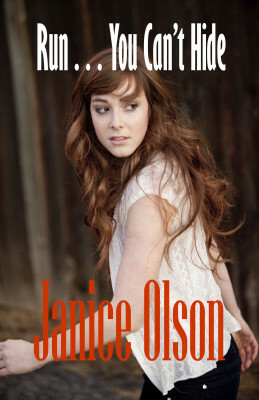 However, Leah’s Gallery doesn’t exist except in my book. 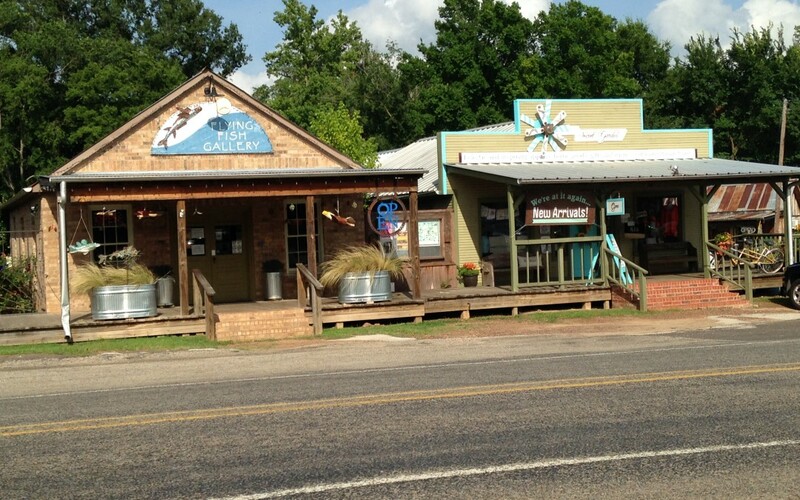 I envisioned Leah’s Art Gallery to be catty-cornered from The Hat Doctor (mentioned in Part II – custom made western hats) and just about where the Flying Fish Gallery, owned by Randy and Sherri Martin, is now. Of course, the building is quite different in my Book. I must warn you about the Flying Fish Gallery. The shop isn’t what you think it might be. The first time Harry and I drove through Ben Wheeler, my husband got all excited and had to turn around and go back to the fly-fishing place. He expected a shop filled with all types of fishing equipment and lures. It wasn’t. It’s like a lot of things in life. What he anticipated and hoped for and what he got were two different things. 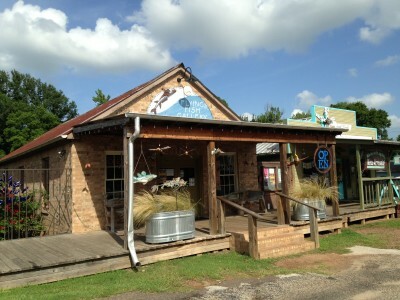 The Flying Fish Gallery is a whimsical shop of home and garden art—funk, silver to rust, simple to complex. The owner laughingly told Harry they had a lot of people stopping by thinking the same thing. So lesson learned … the name doesn’t necessarily signify what’s inside the shop. Next to the Flying Fish Gallery is the Secret Garden Embroidered Linens & Gifts, owned by Marsha Taylor. 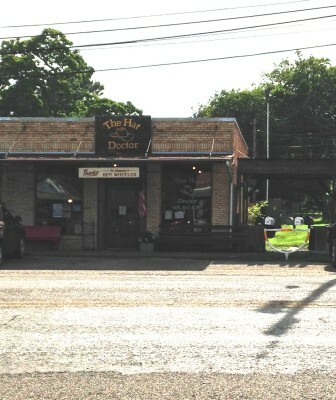 Her specialty linens have been featured in Southern Living and Cottage Style. And you’ll see why if you stop in. Her linens are lovely. And like all the other shop owners, Marsha is friendly and more than eager to talk if her shop isn’t filled with customers. However, a word of caution, if you have allergies triggered by scents, the smell of Marsha’s candles, potpourri, and sachets fill the shop. Personally, I love the smell. However, my husband can’t handle the different fragrances. 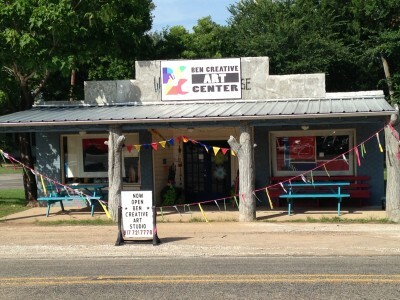 A little ways down east of Marsha’s shop, you will find the Ben Creative Art Center. It used to be an art gallery but now functions as a community arts center. So there again, don’t be disappointed when you walk inside. They do have a few items for sale, but it’s main purpose is for the community. Behind Walking Horse Gallery is Harrison & Son KnifeSmith and they are what their sign denotes. Dan Harrison is a renowned knife-smith who crafts beautiful, one-of-a-kind knives. He has been designing and making knives for over 60 years. For 15 years he designed and made custom knives for companies such as Alcas, Kershaw, and Browning, and others. He also makes custom sheaths for his knives. And ladies, if you want a unique gift for that special man of yours, try the KnifeSmith Dan Harrison. Right next to Harrison & Sons, was a brand new shop just opened that weekend. 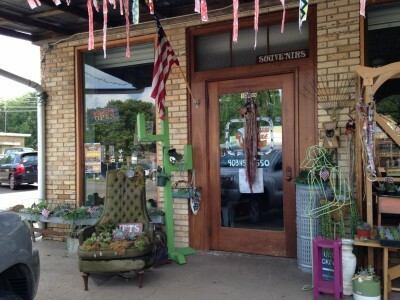 I’m sorry, I failed to get the name, but the owner is a medically discharge veteran that takes repurposed tin and reshapes them into flowers, arrangements, and yard art. 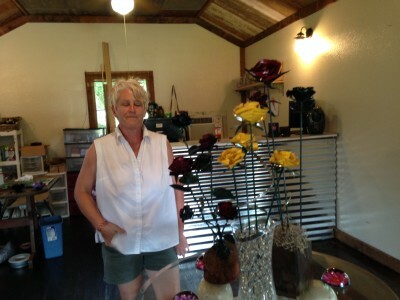 Sorry about the out-of-focus photo, and it doesn’t do her art justice either; however, the flowers were gorgeous. Each one is a work of art. 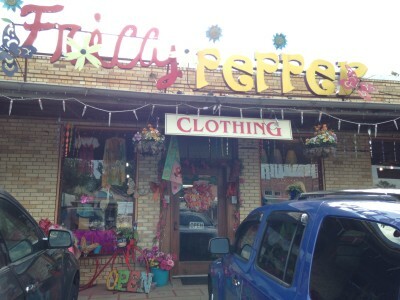 The Frilly Pepper is by Kelli “Cayenne” Holmes. I’m not certain if her name denotes a woman with a spicy-hot disposition or if she got tag for the clothes she designs for her retro or bohemian style. Whatever it signifies, stop in and have a looksee, you just might walk out with an unusual hat or garment just right for you from repurposed vintage clothing. Next to Filly Pepper is the Succulent Studio. Shanna Threndyle has a little bit of everything dealingwith live succulent plants in vintage pots. She also has a little potbelly pig by the name of Souxi that’ll come out to greet you … or should I say grunt you. J Also, she run the Draggin’ Canoe Art Gallery, all the art is Wendy Crone’s, Shanna’s sister. Harmony Chapel – Isn’t original to Ben Wheeler but was moved to the town and is now used for a Chapel, banquets, meeting. 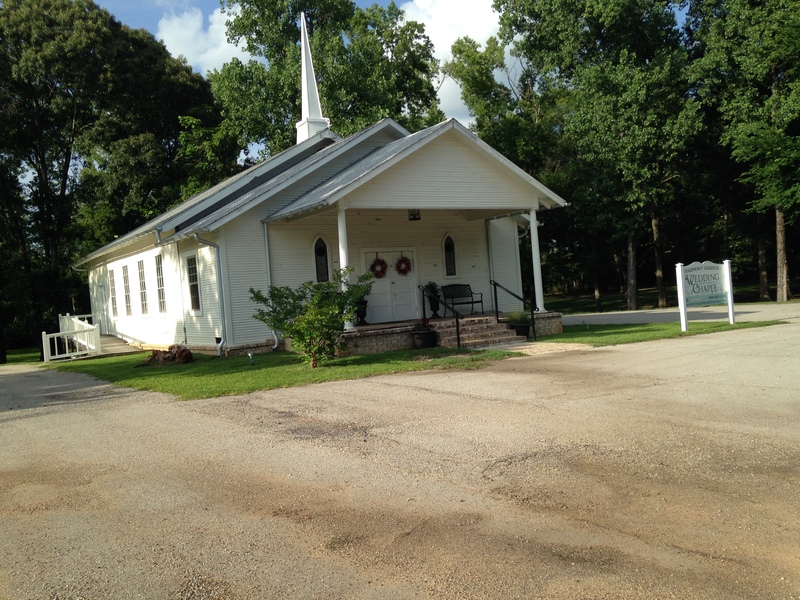 Old Elmwood School house, a syrup mill, and the Harmony Chapel were recently moved to Ben Wheeler and restored to add to the charm and to offer meeting places for the town. 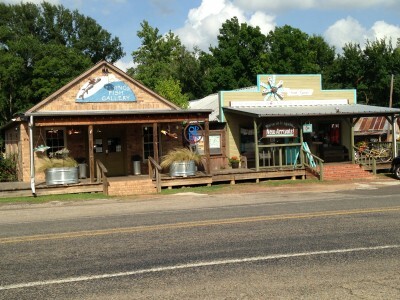 (You may learn more about the town here or even here.) Harmony Chapel was the chapel in my book . I hope you’ve found something of interest and learned a little more about a small piece of Texas—Ben Wheeler. Also, if you haven’t already, please sign up and become a member of my Readers’ Club, where you will receive updates of releases, news events, and a chance to enter a periodic giveaway of great prizes. Y’all come back real soon now, ya’ hear!